Here’s the process to convert any small form computer into a digital bulletin board. In this example I’m going to use a ASUS M400 to build a non-interactive kiosk. This process is the same for Lenovo, Dell, HP and ASUS ChromeBox. These little guys are inexpensive and all you have to do is remove the factory firmware and install Linux. The reason we installed Linux on the ASUS M400 was because it allowed us to have the most hands off experience day in and day out. We’ve been running 3 digital display boards with the following configuration without any issues for roughly 2 years now. Yes the Chrome OS has a Kiosk mode however it required baby sitting upon boot up and wasn’t as easy to manipulate as Linux for the customization we needed. Display website in full screen on boot. Using WordPress you can build a modular splash page and customize feeds etc however you like. This is the ASUS Chromebox we’ve been running for 2 years as our “brain” for our home grown digital display kiosk. 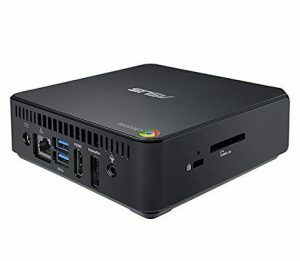 ASUS M400 or any computer you can install Linux on. TV or monitor to accept the video. 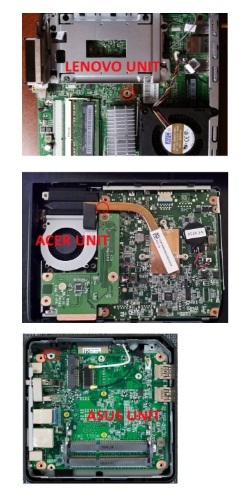 Remove write-protect screw as seen in the image to your right for ASUS/HP/DELL, ACER and Lenovo units. Now you need to place the ChromeBox in developer mode to disable verified boot mode. Since we’re using this unit in standalone mode, not dual boot, you do not need to perform a factory reset as mentioned in other guides online. Now we will use Kodi to install custom coreboot firmware. 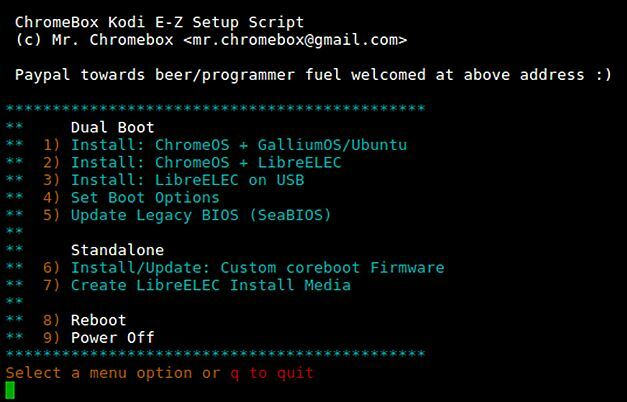 You’ll now see the options below, choose “6” Install/Update: Custom coreboot firmware. Now you need to make a USB stick debian installer with 8.1 and installed minimal, and add jwm (a lightweight window manager) and requirements (X, etc) and chrome. Make USB installer for debian: Download UNetbootin, which allows one to create a bootable USB installation media for almost any Linux distribution. Install on the unit by inserting USB into the unit and booting up, follow on screen prompts. Added StartCommand to launch a terminal with bash executing the /home/kiosk/bin/kiosk script that waits for a network interface to come up and launch chrome in kiosk mode.